ON YOUR MARK! GET SET! GO!!!!! 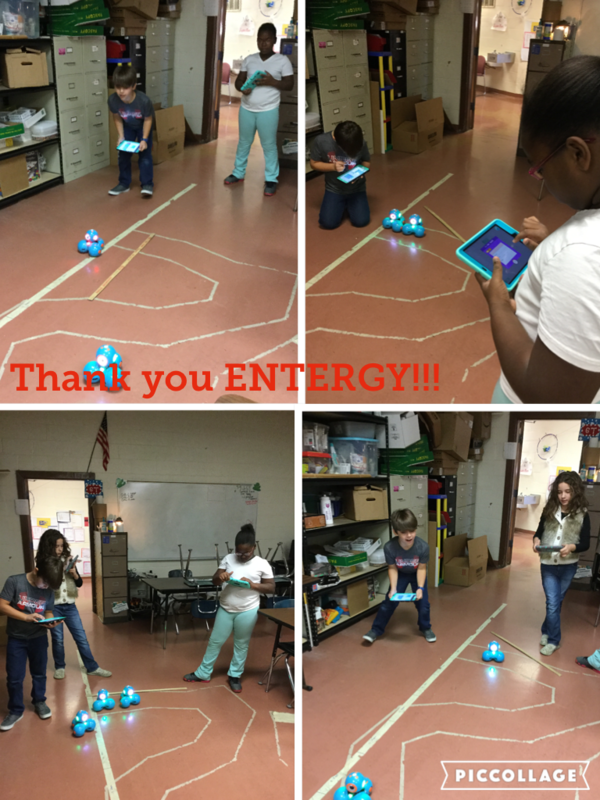 BARTON'S GT CLASSES ARE PUTTING THE ENTERGY GRANT TO USE. 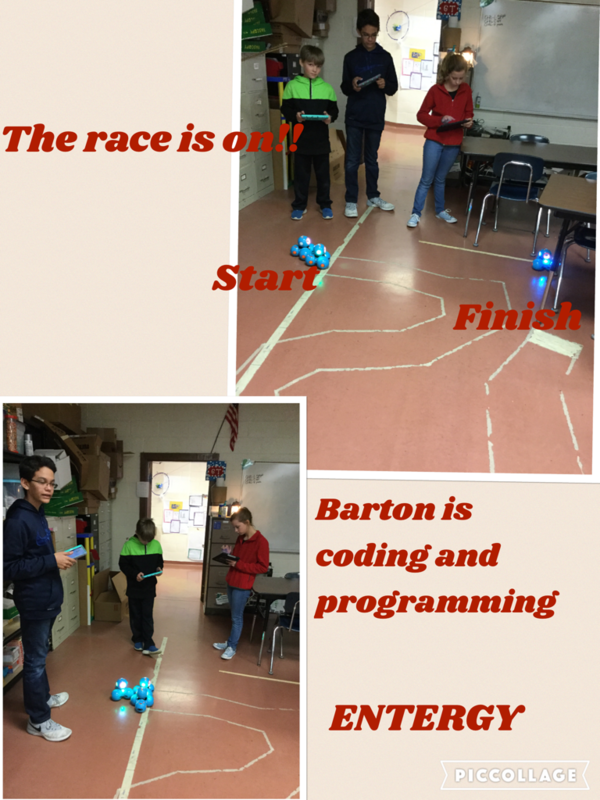 THE CLASSES ARE CODING DASH ROBOTS TO PERFORM DIFFERENT TASKS ALONG AN OBSTACLE COURSE. 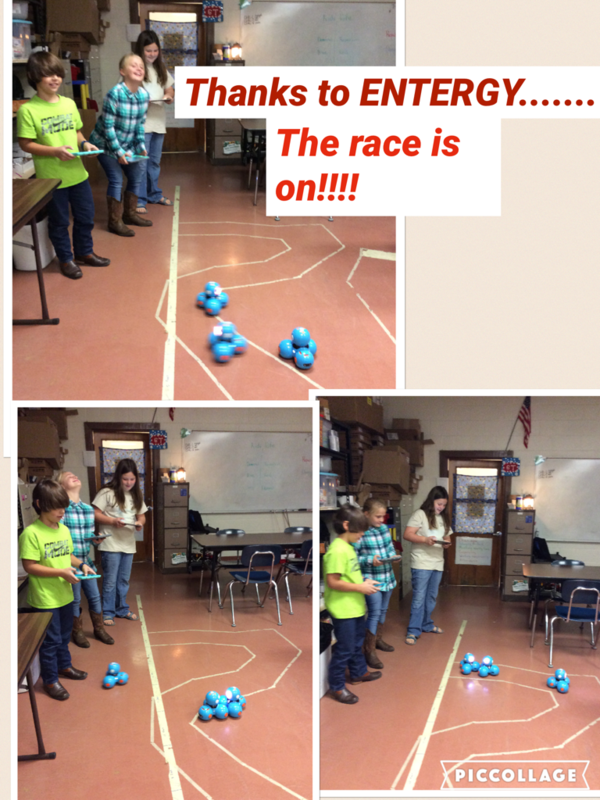 THE FIRST OBSTACLE THE STUDENTS CREATED WAS A CARDBOARD RAMP TO TEST HOW WELL THE ROBOTS WOULD CROSS OVER IT. THIS IS JUST THE BEGINNING. THEY ARE IN THE PROCESS OF CREATING MANY OTHER OBSTACLES FOR THE COURSE. WHAT FUN!! 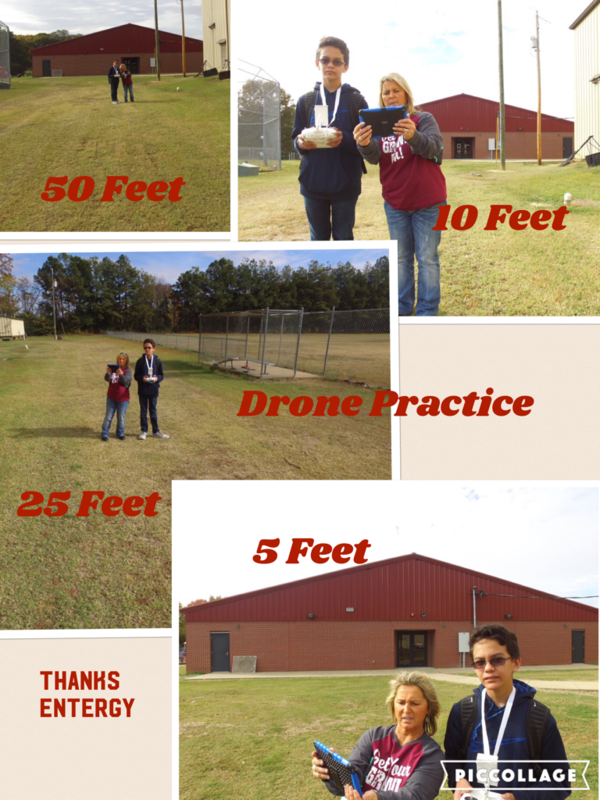 Thanks to ENTERGY, the JR. GT class has a Phantom 3 Drone to learn how to fly. This is just the beginning of the flight instructions!!!! !